We appreciate your Loyalty - YOU deserve to be Rewarded! Participation in the program is FREE. Simply fill out an application in our shop on your next visit and we will automatically enroll you on the spot. Or click on the SIGN UP button below and fill out your application on line. Participation in the program is FREE. Simply fill out an application in our shop on your next visit and we will automatically enroll you on the spot. Every dollar spent on repairs will earn a point. Earn 400 points and receive a $20.00 loyalty rewards certificate good on on any future repair service. Best of all, there is no limit! 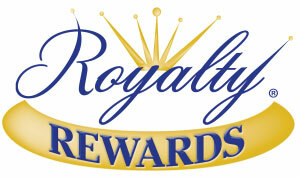 You can view your rewards history and activity at www.myownRewards.com or using the Royalty Reward app available now for Apple and Android devices.